This project was born from a camping with my better half and a group of friends. These friends are not of our prepper mindset and as such had no way to recharge their phones, batteries or run any kind of device that required power. If you’re interested in a done-for-you option check out my favorite pick at Amazon. We were camping for 5 days so it wasn’t long before they started to come to me to use my inverter. I normally have a small 150w stashed in the trunk for emergencies, or times like these. On the last day of camping, we got into a discussion on the number of batteries we had all gone through over the 5 days and how much it had cost us…needless to say I wasn’t happy at the final figure and decided that for the next trip, I would have something that would save us all money and would preferably be free. 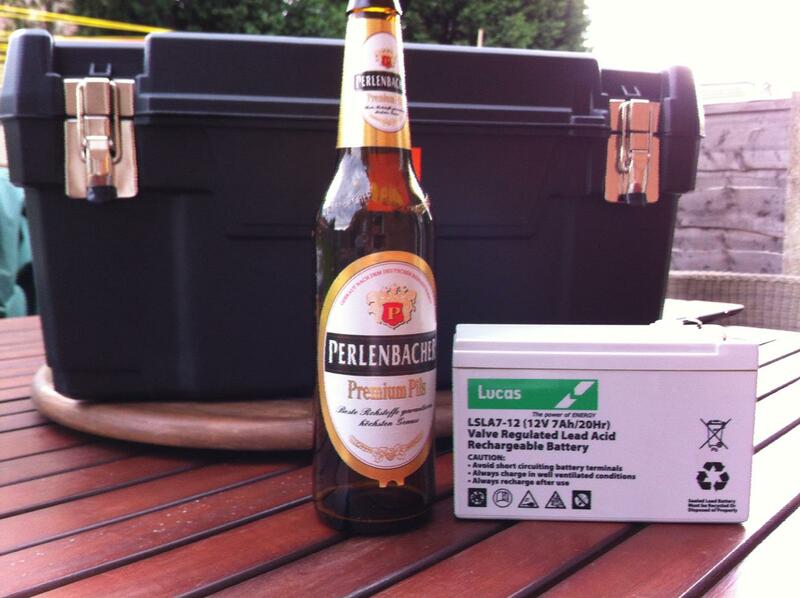 The idea for a portable solar generator was born! 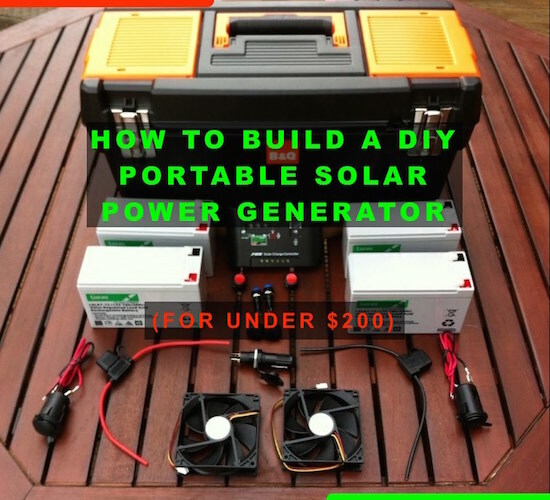 This was my first foray into solar power, though I have an interest in solar power generator for homes.I wanted to share this with you to show how easy it can be done, and why you shouldn’t be afraid to get your hands dirty with solar power. 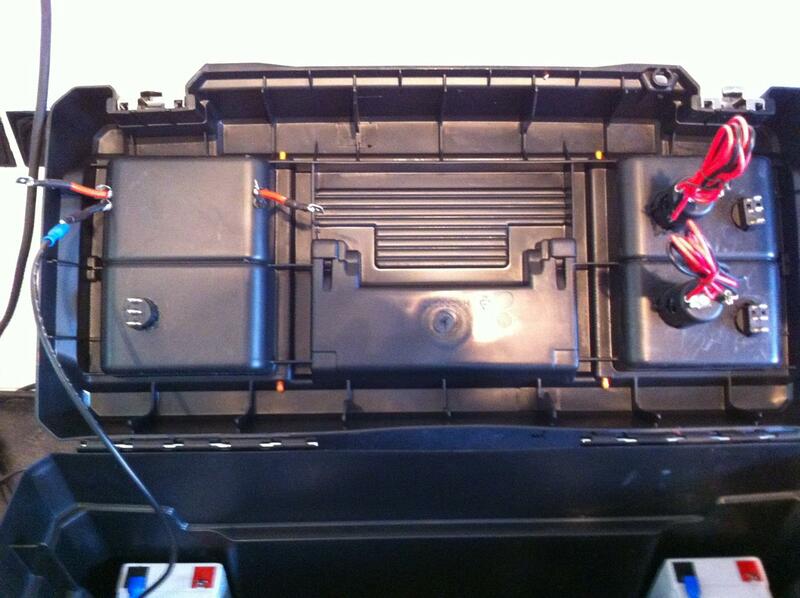 Has to be portable – large deep cycle batteries were out unless I wanted to drag a trolly with me and that would pose a problem fitting it into the car. Has to power anything that requires a USB and/or DC connection – I didn’t need to power any A/C appliances such as a refrigerator or a television. 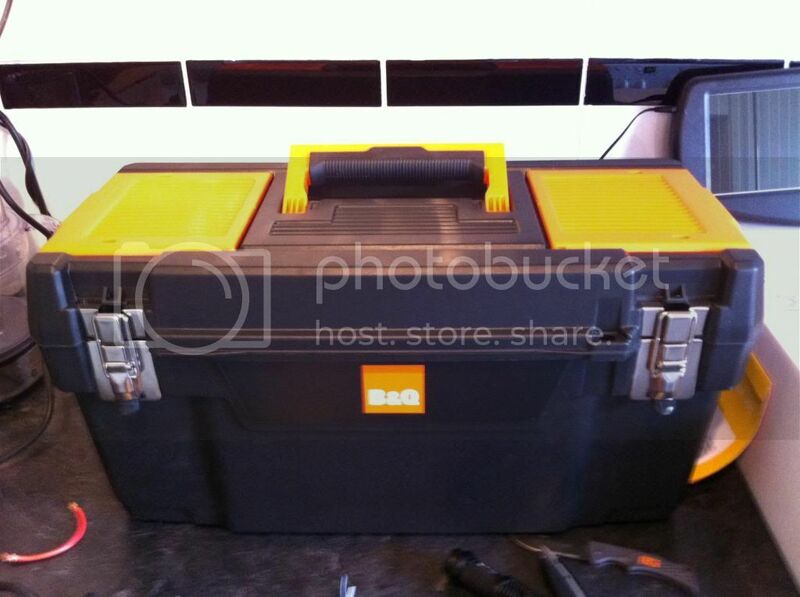 Should look inconspicuous and not out of place in a home, car or tent – this project was also for post SHTF moments and I wanted to have it to hand without guests asking questions. Here is what I came up with – the finished product. 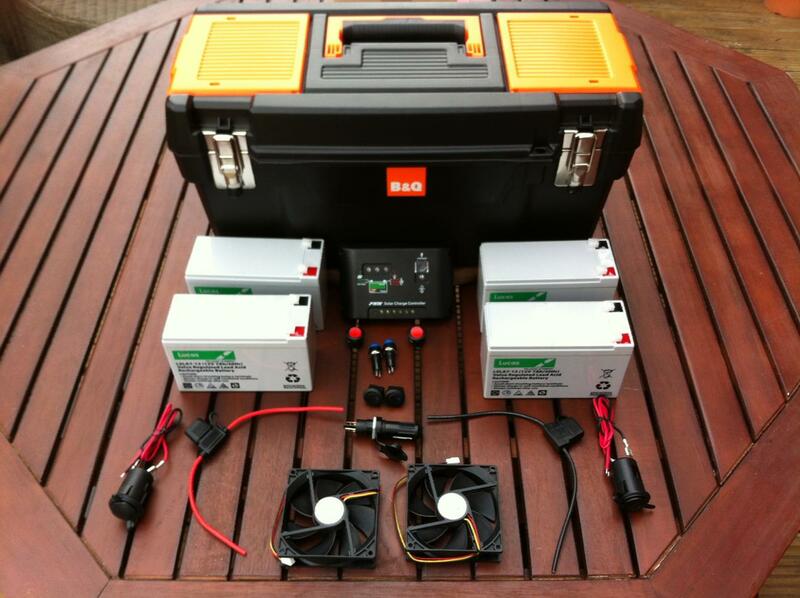 My discrete Portable Solar Generator – using a simple toolbox! 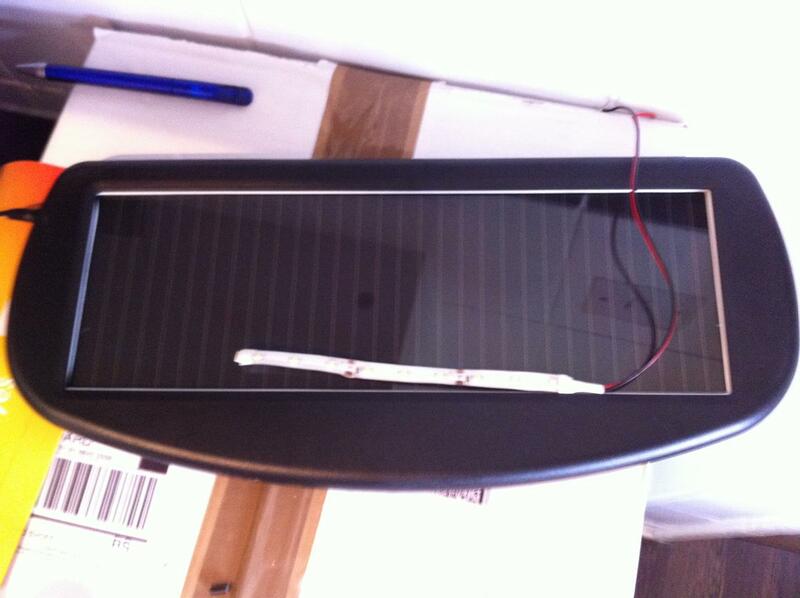 The total cost for the project so far is around $200, including the 30 watt solar panel I am in the process of making. You can save money buying from the online auction sites such as Ebay. 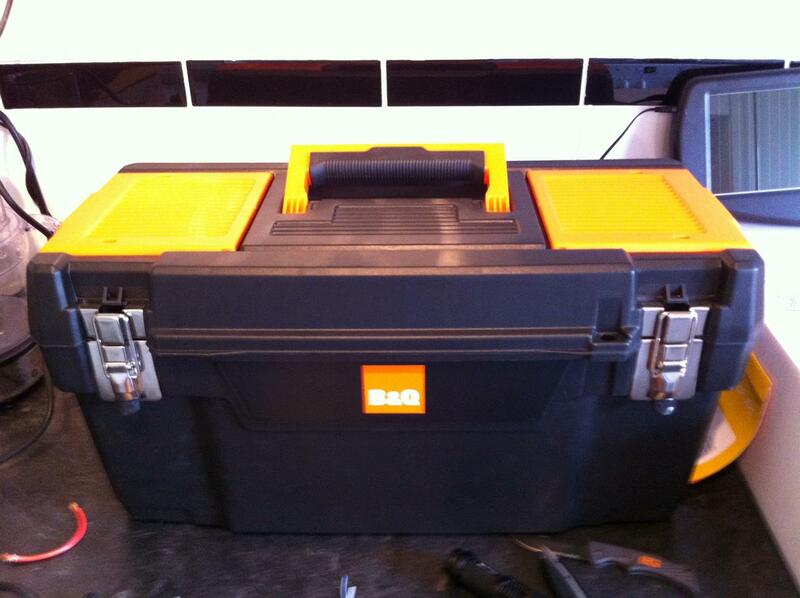 Here we have all of the major elements that will be going into or onto the tool box. 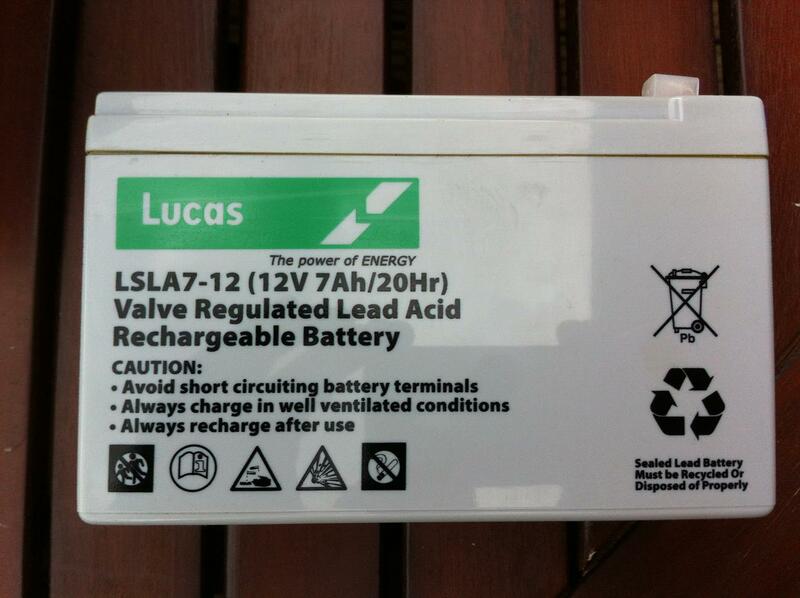 Next a shot of 1 of the 4 batteries I used, these are 12v 7ah batteries, normally used to power electric bikes, scooters and toy cars. 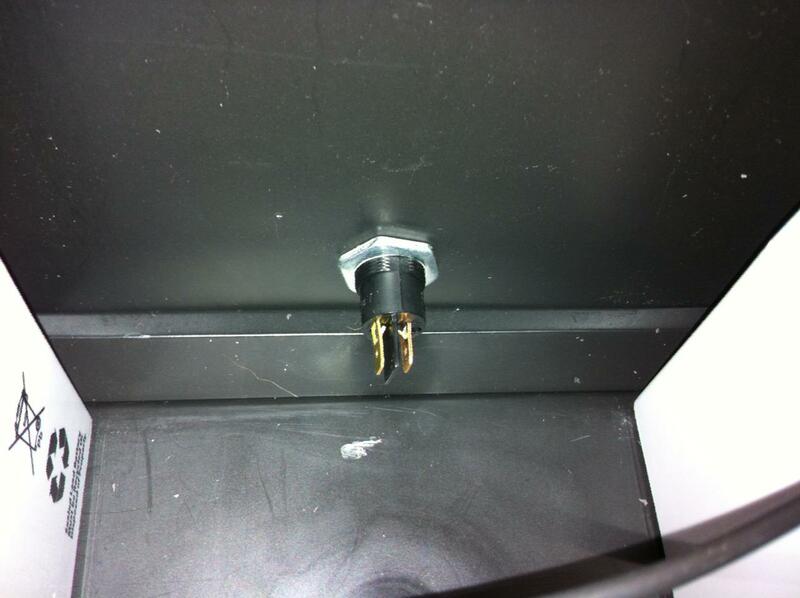 You can see the terminals used on the top which make connecting wires very easy with female spade connectors. 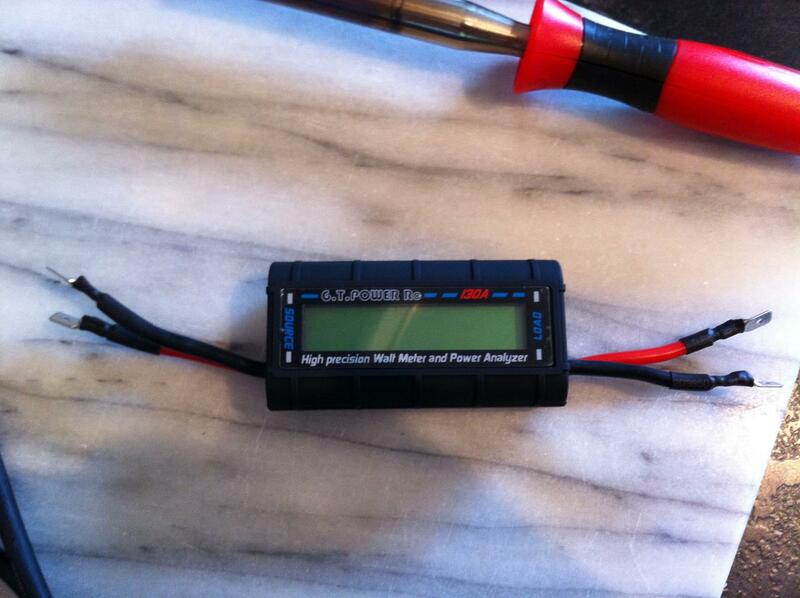 Here is a close up of the digital battery power meter I picked up for around $25 on Ebay. It didn’t come with any connectors so I had to add spade connectors and heat shrink to make it look nice! 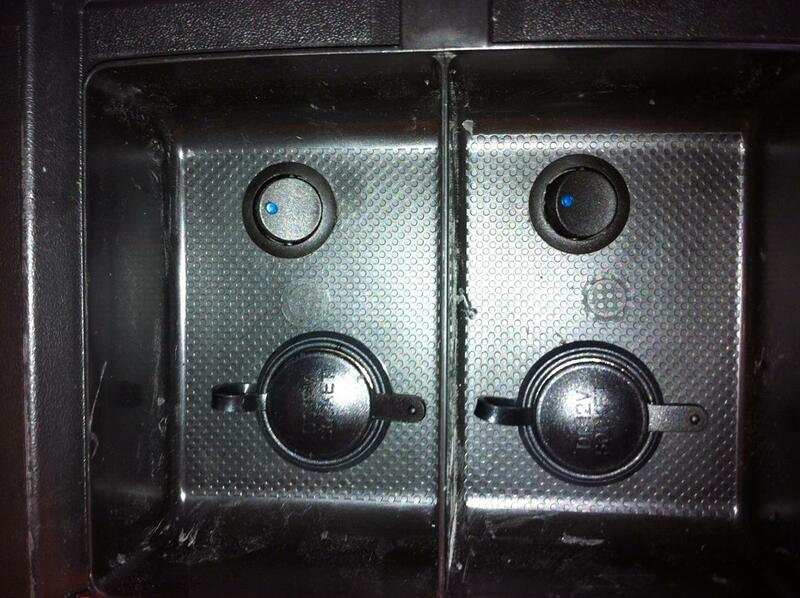 The 2v DC sockets and switches installed in the lid (which has the orange cover) My Dremel tool made this so easy! 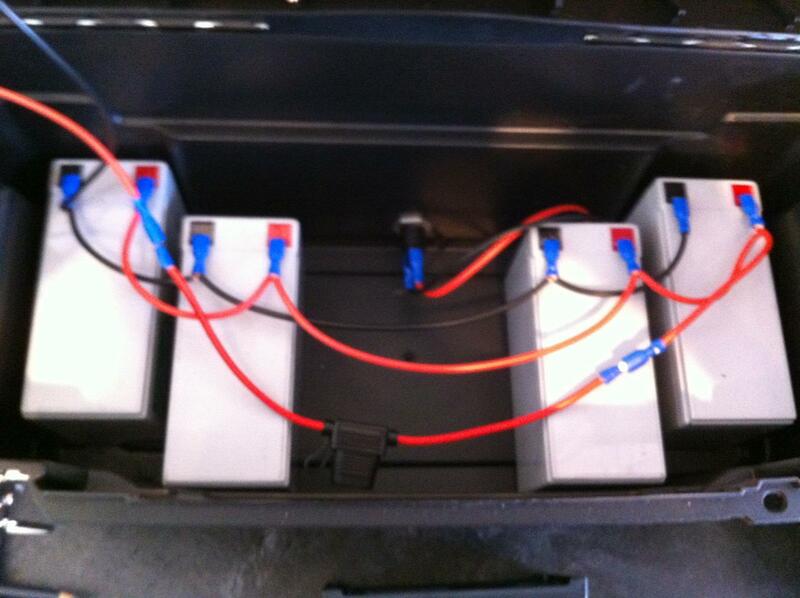 Then I wired the 4 batteries in parallel (which keeps the voltage the same at 12v but multiply the amp hours (ah). 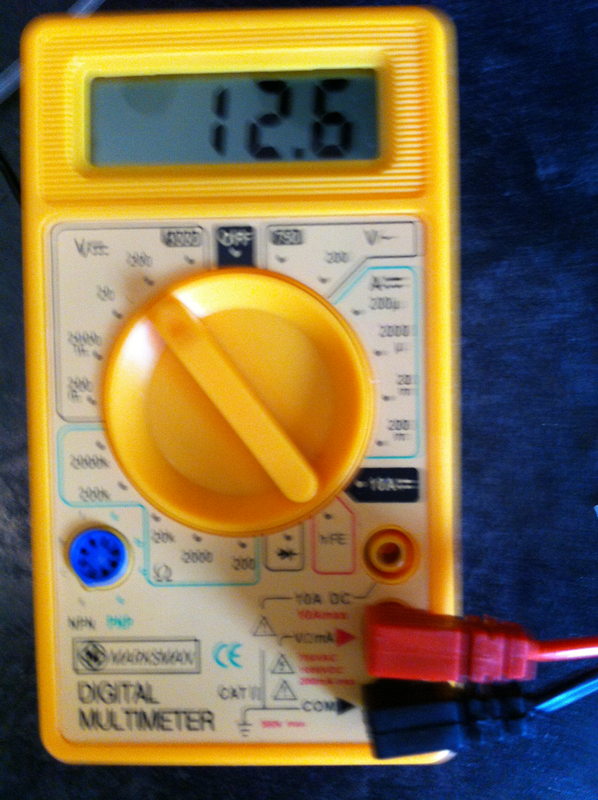 4x 7ah gives me 28ah…simples! I also added a 12v inline fuse which you can see in the image above, this is between the battery bank and the master power switch. 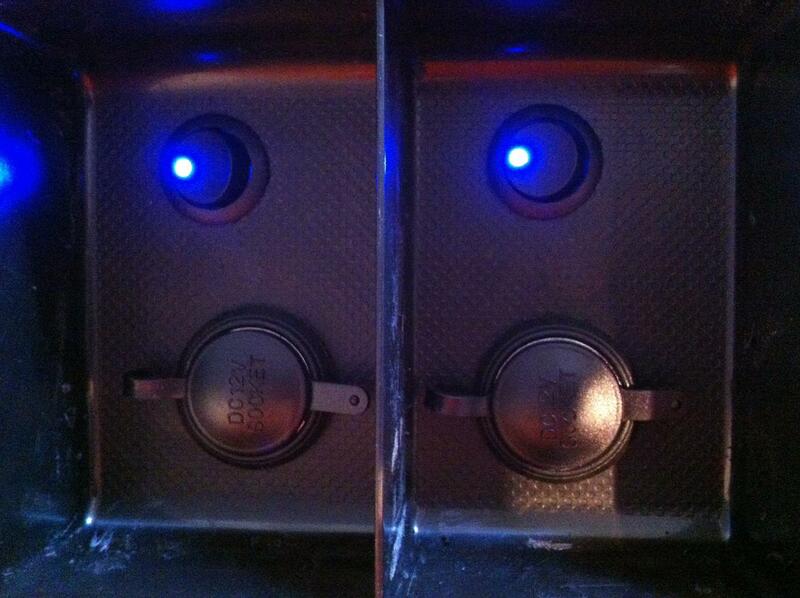 And one of the 2x 12v DC sockets along with blue LED switches to show me they are on and working! 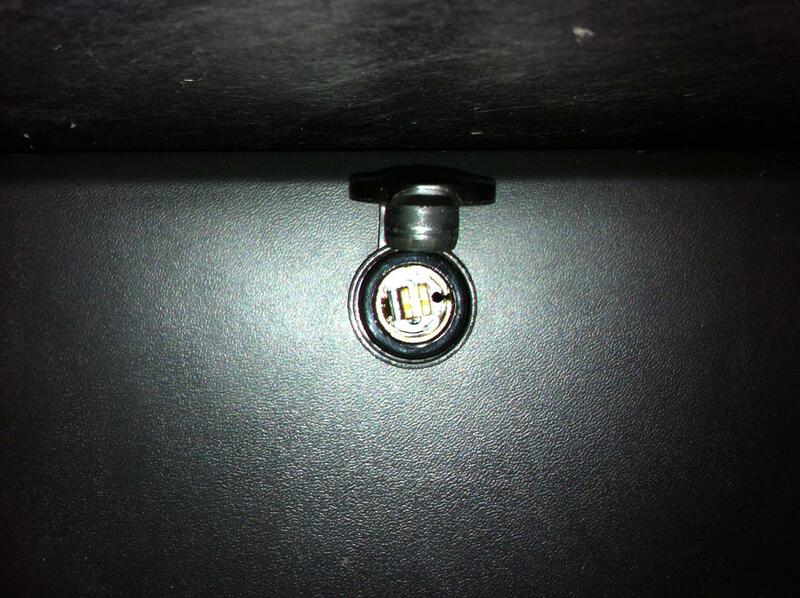 DC sockets Installed and working! 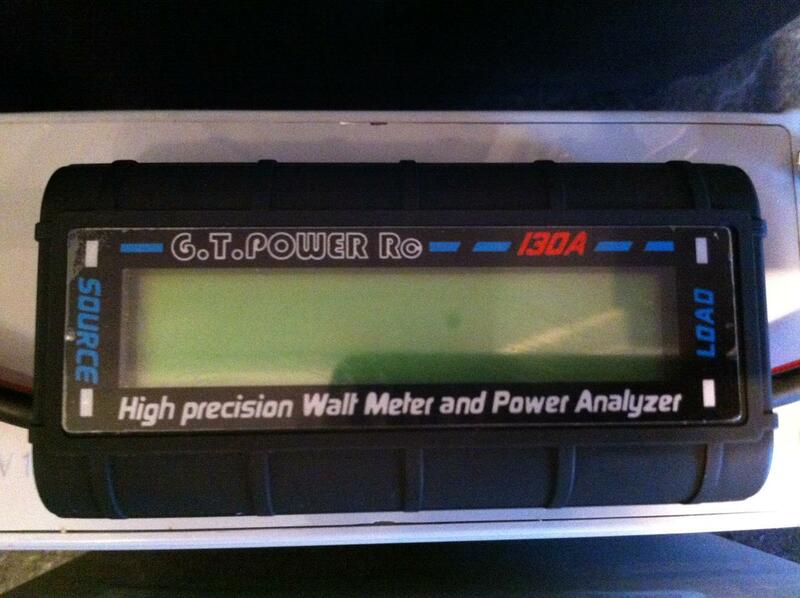 The Power Analyser installed next to the master switch…we have power! Here is where the solar panel connects using the Hella Socket. 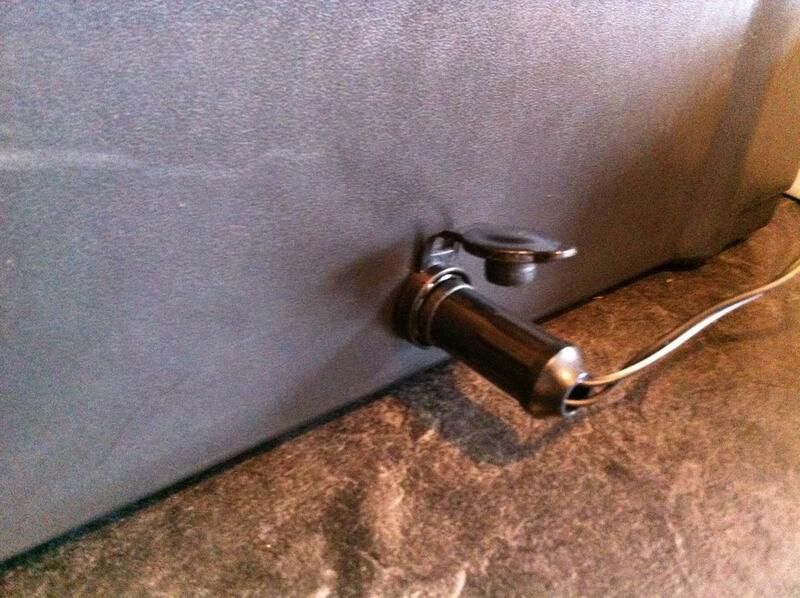 The finished products….looking very unobtrusive….OPSEC! The next stage will be to complete my solar panel which I have already started working on tabbing the cells together etc. I will share that with you all once completed. Hope you enjoyed reading about my project as much as I have enjoyed building it. If you’re looking for a done-for-you option, here’s my favorite pick at Amazon. If you’re thinking about making your own I would encourage you to do so, you will learn a lot and if you have any question please ask in the comments below. I’d be very interested in seeing your solar panel build when it’s done. Thanks Mark, I will put up the details here once it’s all complete. 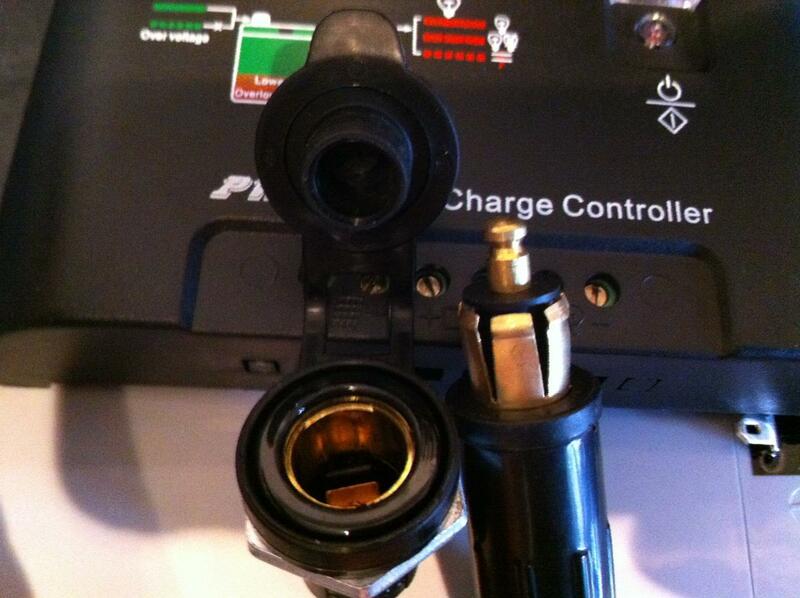 It protects the battery and the outlet from shorting from a current surge. The fuse will blow before any of the expensive peripherals. I’m a mother of 5 (nearly) grown boys with a strong compulsion to build this thing! But I’m afraid to begin, being unable to complete it with enough efficiency to be useful due to my lack of electrical knowledge and skill. I do have a passion, though, and I love to learn. Do you reasonably think I could accomplish this by just following your directions (without having to scrap the project half way through)? Thanks for your post and I’d appreciate your honest introspection here. What about the computer fans where did you install them? They are for a later mod if we found the batteries getting too hot – they’re not really needed. If you wanted to use them in a smaller case for example, you would simply mount them on either side with one facing out and the other facing in. This would pull in the air from one fan and push it out with the other, so the cooler air would flow over the batteries and out the other side. Where and why do you use the chocolate block connectors? 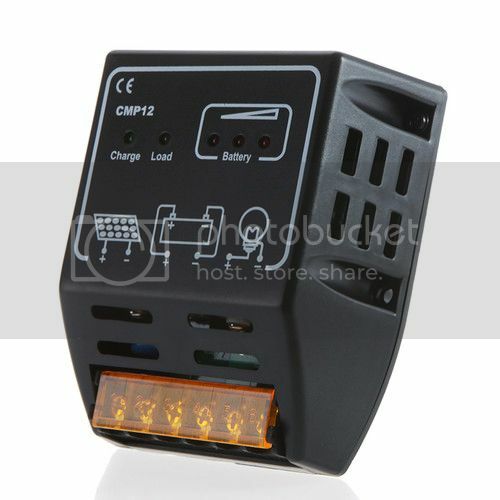 They are used to connect the power to the on/off switch, which is then connected to the DC socket to power the products. 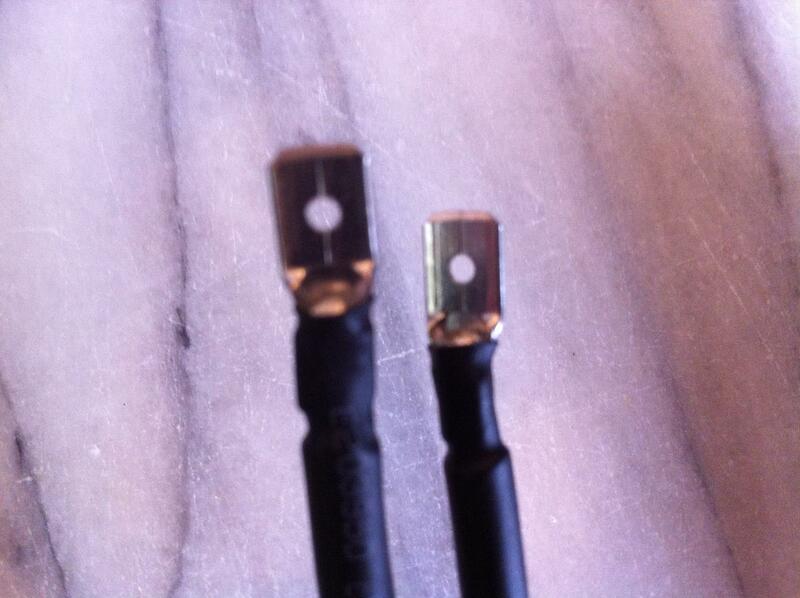 They are simply an easier way to connect the wires rather than soldering and make it easier to replace items. That is a good write-up with pictures. Thank you. This was an inspiration to help me design and build mine. 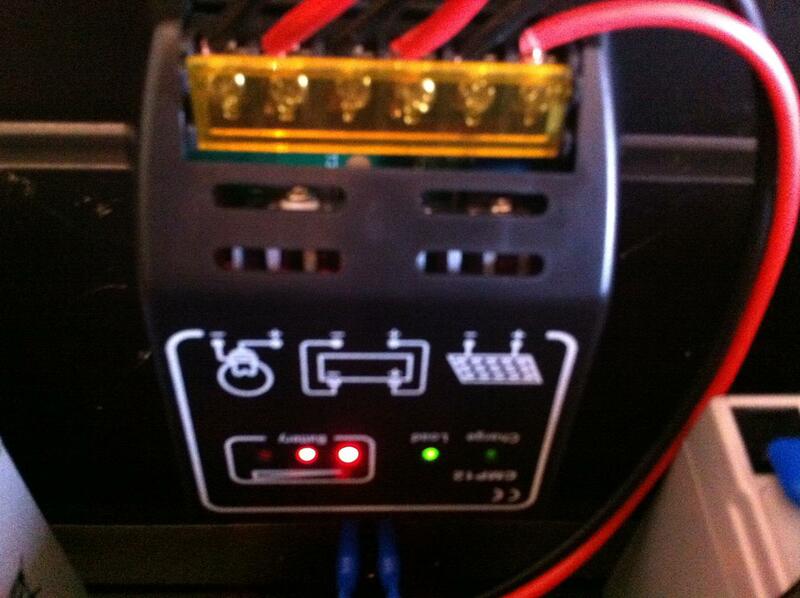 Soooo, *PowerBox 2.0* was born. I took my solar panel I already had for charging my laptop battery and used it for this project too. 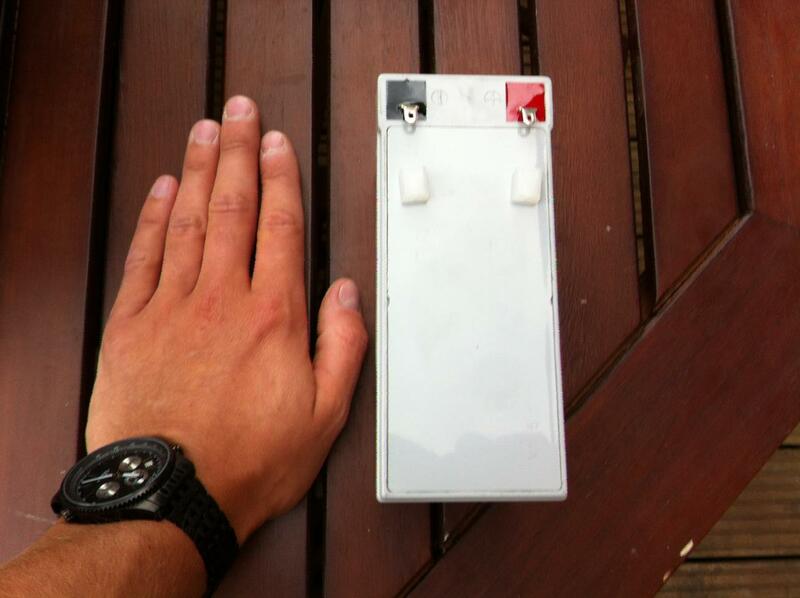 18v 16,5 watt tri-fold panel. 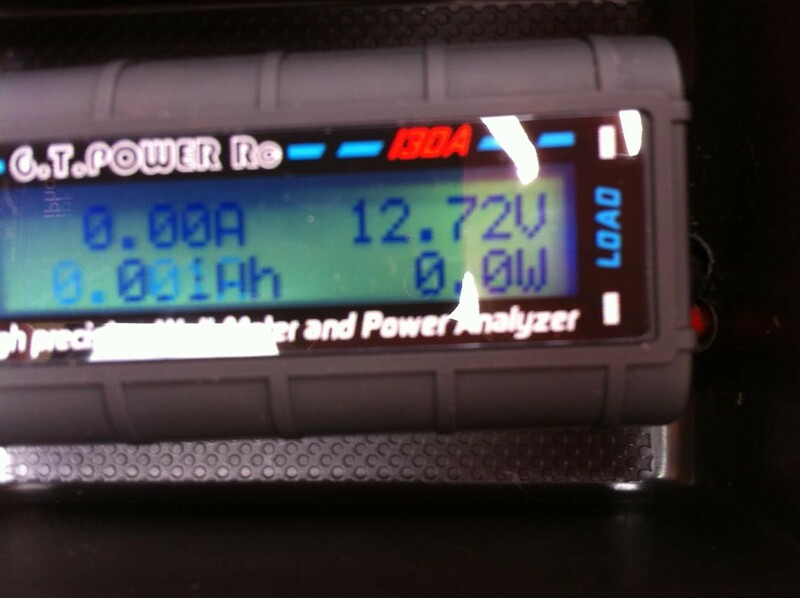 Now, I decided to use 12 18650 batteries in three series of 4, that is 16.8vdc at 12Ah. 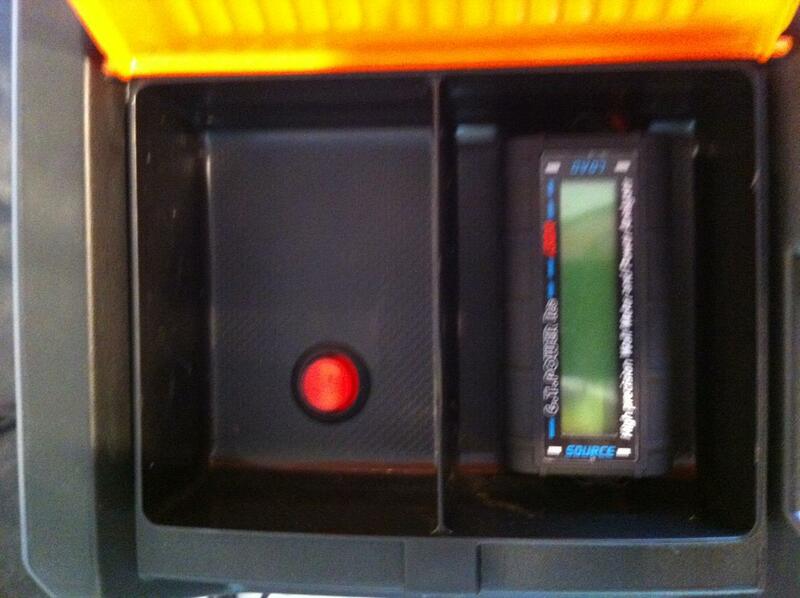 The batteries I used are 4.2v at 4000mAh each. For charging, I used a 4 cell charging board per 4 batteries, so I needed 3 of them. at a cost of 2.49 each. I switched the and fused the input of each stepdown board to save battery power. Total cost, about 80 dollars and it has been tested to provide power to charge 4 phones, 2 tablets and a kindle fire for a whole week on a single full charge. I was impressed indeed. I know. I know. Anybody can make one in so many configurations, it is silly to try to think about how many. This was just my take on it after reading about yours and deciding to build one, actually 2, one heavy and one light. Thanks again for writing this up and giving all of us a place to start and think about our electronic needs. P.S. Sorry, I did not mean to hijack your article. Wow that’s awesome Paul, give me lots to think about. I am currently building my own version of the SOLN1 and SOLN8 (you can Google them, there are a ton of videos etc). These are the lightest I have seen and suitable for being carried around when backpacking and camping etc. Also, great in a SHTF event as they take up little space and can be mounted practically anywhere. Thanks for sharing your thoughts on this…it really is an interesting topic! What price would you charge to build me a similar one? Thanks! Did you ever finish it? I would like to see the pics of it finished. Thanks. And this was a great read and the pics helped out a lot with you explaining how you made this. Great job! !